The Well Armed Women of SRC are hosting a combined National Rifle Association Basic Pistol Student & Instructor course at Spokane Rifle Club on September 29 – 30, 2018 from 9am to 6pm each day. There are still spots available for the course and advance registration is required. This CO-ED instructor development course will be taught by experienced NRA Training Counselor Shaun Curtain, who is the owner of Firearm Training NW in Vancouver, WA. This is a fun instructor-level class that has you wearing multiple-hats. The hats of a student taking the class, an instructor teaching the class, and a instructor learning to teach the NRA way. 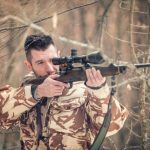 This is you learning to teach the basic’s to new shooters in a formalized way using NRA materials / lesson plans and proven techniques. The NRA now requires its instructors to have taken the Pistol course as a student. 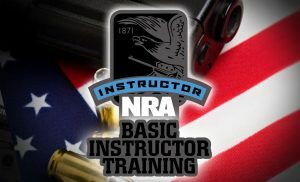 So this class will be the NRA pistol student course first which is $120. Then the NRA Basic Instructor Training (B.I.T.) which is six hours of classroom instruction learning to teach the NRA way, ordering course materials from the NRA, and completing course reports. BIT is followed by the NRA pistol instructor course which is $250, for a total class fee of $370. A deposit of $75 is required to hold your seat in the course. Deposits are mailed to Firearm Training NW, PO Box 1187, Brush Prairie, WA 98606. For more information about the course, please contact SRC’s Well Armed Women at SpokaneTWAW@gmail.com or reach out to the course instructor, Shaun Curtain at firearmtrainingnw@gmail.com or via his website.